Whether you’re new to college or a returning student, now’s the time to find ways to get involved on campus. We sat down with Shoshana Gibber, an IACT coordinator at MIT and Wellesley College, to find out how students can become more involved in Jewish life. Trust us—it’s an active, meaningful, and, yes, even FUN, experience you don’t want to miss! What is a campus Hillel, and why should college students get involved? A campus Hillel is essentially a center for Jewish life and learning, at your home base – which for college students is their university. Hillels are primarily student-led. There’s a student board which has a vision and a mission, and the staff help the students fulfill their vision and their mission for enhancing fun, interactive and educational Jewish life on campus for Jewish students and non-Jewish students who are interested to learn more. The staff has our own goals and objectives – and campus vision and mission – that are in alignment with our university. MIT is a science and engineering school, so we’re constantly trying to not only help the students along their Jewish journeys, and develop more of a connected, strong Jewish identity; but also to see how their roles as engineers or scientists can go hand-in-hand with their identity as a young Jewish emerging adult; and how they can fuse both of those identities in the future, post-graduation and become leaders in their field, as well as leaders in the Jewish community. Have you met students who are hesitant to join their Hillel? How would you convince them otherwise? I would say the majority of students I encounter are hesitant to join. When I meet with them, I tell them that Hillel is a community of peers. Students are often searching for new friends and a place they feel comfortable, where they can go and see friendly faces, and have that family environment that they might be lacking because they’re now living alone at college or university. So first and foremost, I would say Hillel provides an immediate community for students that are seeking community. Hillel is also just fun because we have a lot of learning opportunities that students are not going to get elsewhere – so if they’re used to doing Hanukkah a certain way, and then all of a sudden they’re not at home to light the menorah –Hillel will provide students with menorahs and candles and dreidels and gelt and all of the things for students to kind of recreate that feeling of holiday and home without having to put in any of the effort of going out and buying those things themselves. In 2007, CJP’s Israel Campus Initiative (IACT) launched, and is now expanding through a partnership with Hillel International. Can you explain how IACT works at college campuses? And, what is your role as a campus coordinator for IACT? So it’s Inspire, Activate, and get students to become Committed and then Transformed through Jewish life and activities on campus. The vehicle for doing that is Taglit-Birthright Israel, because it is a transformational journey that students go on, in a condensed 10-day trip to Israel. IACT leverages that watershed moment for students, and has created programming and an entire initiative based around the Birthright trip itself. At MIT and at Wellesley, through September to February, all of my energy, time and resources are focused on finding students who are Birthright eligible, getting their names on an interest list, building relationships with them, communicating what Birthright is to them, and encouraging them to sign up for the trip. Through our pre-trip programming and our relationship building – and through staffing the trip, and spending time to really get to know and care about our students – when we come back to campus we have much stronger post-Birthright engagement rate. So, the other third of what I do is really focused on Birthright alumni, and trying to make sure that those students don’t just take their 10-day experience, come back and get really revved up for the first two months, and then drop off our radar. I keep them engaged and keep in close contact with all of my alumni. 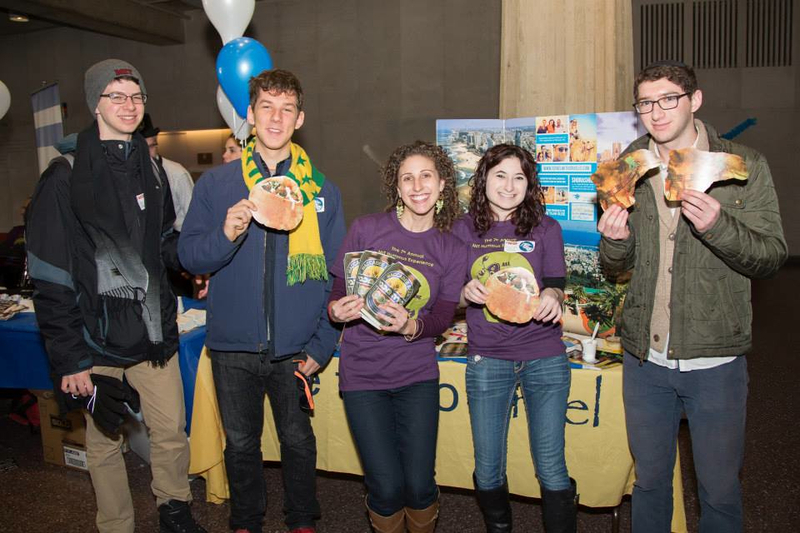 I make sure that all of our different buses from the different seasons have reunions at least once a semester; I make sure that I’m inviting those students to other Hillel events that are happening. For example, we have a Jewish learning initiative that we started around Birthright, called Music, Schmoozing & Sushi. Once a month Birthright alumni pose a question, like “Interfaith dating – what’s that all about? Why should I care?” and we have a roundtable discussion with Birthright alumni and our Senior Jewish Educator at Hillel, about those types of topics. We had one on Jews and tattoos, and a number of different other examples like that. IACT now serves 12 college campuses, and is expected to expand to 50 campuses over the next five years. What advice do you have for students who have never experienced IACT before? For students that have never experienced IACT before, I would say it’s going to change their college experience, hands down – but they’re not going to believe me because they don’t have anything to compare it to. College is a time for exploration, for personal growth and for learning, and it’s also a place for fun, a place where students get to try new things and do new things. What IACT does for college students on campus is help facilitate that process in an individualized way. So we really focus all of our energies on what the student wants, and we get to do that within a Hillel that cares about the bigger picture. For students that are maybe applying to colleges, or choosing a college, if they end up with an IACT-based campus, they know not only will they have a supportive Hillel system –but they also will have a point person, somebody they can really build a very strong relationship with, and an ally on campus who understands where they’re coming from. A lot of the IACTs will tend to be very large schools and we really make sure our students are not just another face in the crowd. They’re an individual with individual needs, and individual Jewish needs that we can help craft. Hundreds of Boston-area Birthright alumni returned to Israel for short-term service trips this year. Can you tell us more about these trips? IACT is not just an on-campus endeavor; it’s an inter-campus connector also. CJP has helped through the Israel Campus Roundtable in Boston to produce trips to send students back to Israel. One of the other goals of IACT is not to just get students to go to go on Birthright, but to provide key opportunities for students that are affordable and within a timeframe that works for them to get back to Israel, to fall in love with the country and to continue learning about Judaism and Jewish values, and interact with Israelis and learn about Israeli society and culture as well. CJP runs an alternative, intercampus spring break trip. That trip is based in Haifa, Boston’s sister city. 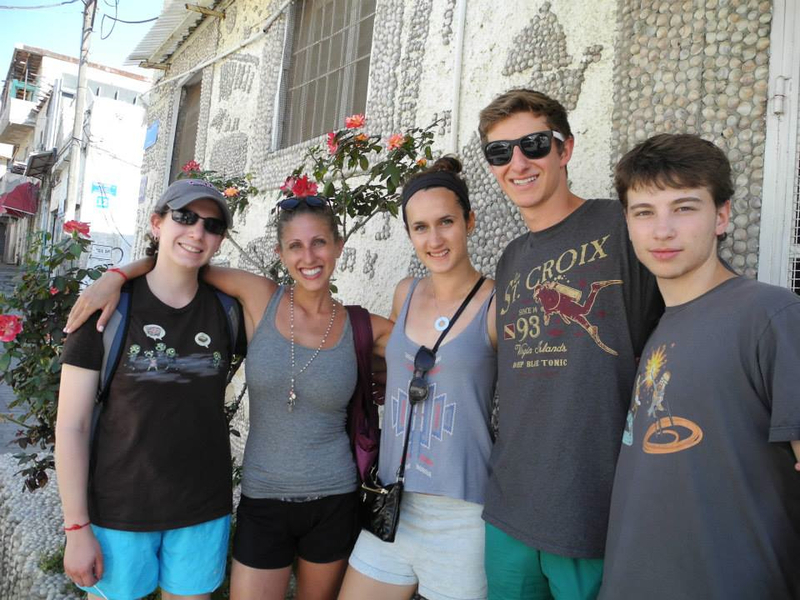 The other trip that CJP helps subsidize for students is the Onward Israel program, which is another post-Birthright kind of opportunity for these IACT alumni. That’s an internship program in Haifa as well as Jerusalem. They go to Israel for the entire summer and get placed in high-level internships that match up with their interests. These students really get to feel what it’s like to live in Israel for 2-3 months. They come back and they have had amazing experiences. It’s really great. It’s amazing that IACT and CJP are able to subsidize these experiences for students. Do you receive feedback from students who have joined Hillels? What about those involved in IACT? This job is completely fulfilling. I’m in this job because I want to help students. I think when you’re college shopping, even if you don’t think Jewish life on campus is something that’s going to be important to you, or something you care about, it’s nice to know that you can choose a school that has a very thriving Jewish life. Because at the end of the day, if all else fails, you can always walk through Hillel doors, and you’ll always find a professional at Hillel who is willing to sit down with you and take as much time out of their day as they need to make you feel better as a student, even if they’ve never seen you before. Hillel provides a safety net for students who don’t think they are going to care about Jewish life on campus. Choosing a school that has a thriving Hillel – especially a Hillel with an IACT who is going to really be able to handcraft a Jewish experience that’s positive to every single student that walks through the door – is important because you never know what life will throw at you. It’s nice to know that there will always be a safety net of a Jewish community that will hold you up.